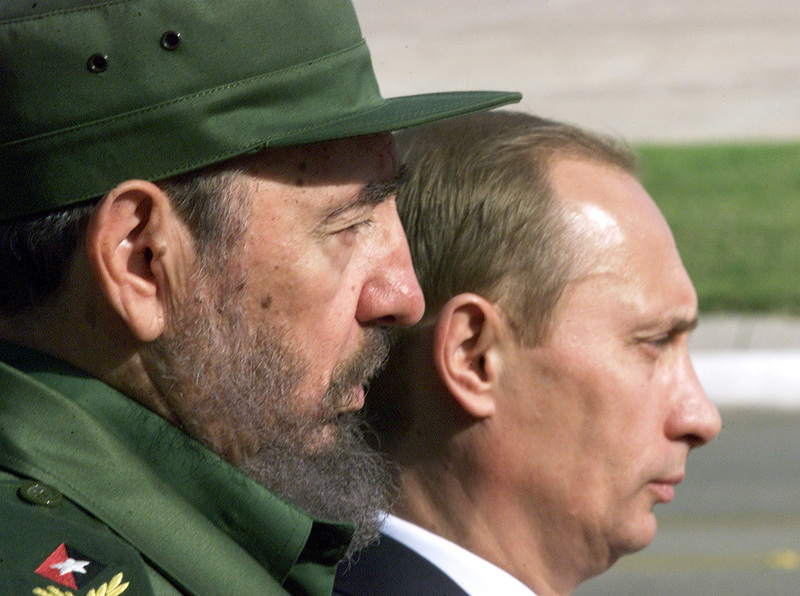 Russian President Vladimir Putin and Cuban leader Fidel Castro stand side by side by during Putin's official welcoming ceremony outside Havana's Palace of the Revolution, Dec. 14, 2000. The Russian President’s press secretary Dmitry Peskov said on Nov. 28 that Vladimir Putin will not attend the funeral of Cuba’s former President Fidel Castro in Cuba due to preparation for his state-of-the-nation address on Dec. 1. Peskov announced this when asked why the Russian delegation will be led by Vyacheslav Volodin, a speaker in the Russian State Duma lower parliament house. "Vladimir Putin has a rather busy agenda, because he is getting prepared for his state-of-the-nation address, which is one of the key items on the president’s working schedule for the year, and it is fixed in legislation," Peskov explained, adding that this is why "Russia will be represented [at Castro’s funeral] at the high but not top level." Fidel Castro died on Nov. 25 at the age of 90. Fidel Castro’s body was cremated on Nov. 26 in accordance with his wishes. A nine-day period of mourning has been announced throughout the country. Castro’s ashes will go on a four-day procession from Havana to the southeastern city of Santiago de Cuba, starting on Nov. 30. Castro's ashes will be interred at the Santa Ifigenia cemetery in the city of Santiago de Cuba, known as the cradle of the Cuban Revolution, at 7 a.m. local time on Dec. 4.